GoPro is the best choice of action cameras because it is lightweight, can be mounted and compact in nature. GoPro can record HD videos and still photographs through a wide angle lens. Want the easiest way to edit some exciting GoPro footage? Trying to sort out Easiest GoPro editing software? You’re in the right place! 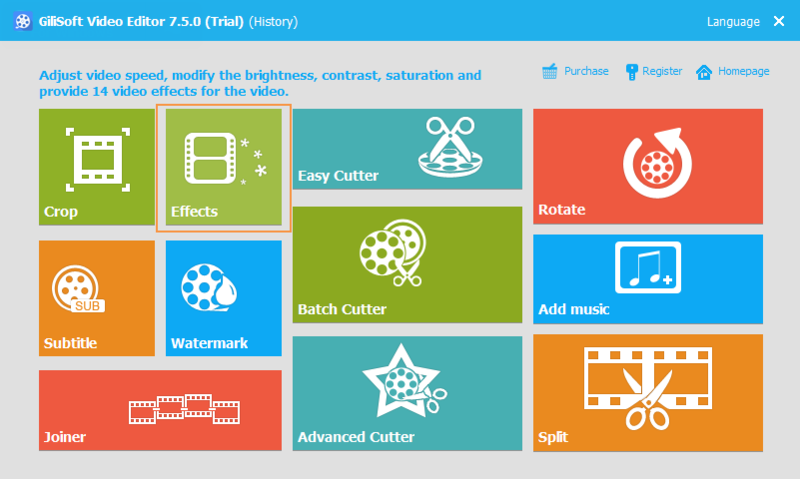 In this post, you’ll learn about your options for great Easiest GoPro editing software. With every PC, you get this amazing video editing tool. Gilisoft Video Editor is a easiest GoPro video editing tool, which is perfect for creating stunning videos and sharing with your friends. Try Gilisoft Video Editor – a top-notch application with a wide range of useful tools and options that will help you make your GoPro film truly professional. Delete unwanted elements in the footage, insert smooth animated transitions between video segments, apply a slow motion effect to emphasize the most spectacular moments, add background music, and more! GiliSoft Video Editor you can Choose the best Gopro footages; Remove unwanted Gopro footage; Join the best Gopro material into movie; Add effects, graphics, music, texts; Alter the style, pace or mood of the Gopro video. The Easiest Gopro Video Editor is available in Chinese, English, French, Italian, Japanese, Portuguese. What video/audio file formats does Easiest GoPro editing software support?